Welcome to the third post of my Christmas Home Tour of my Basement Living Area!! 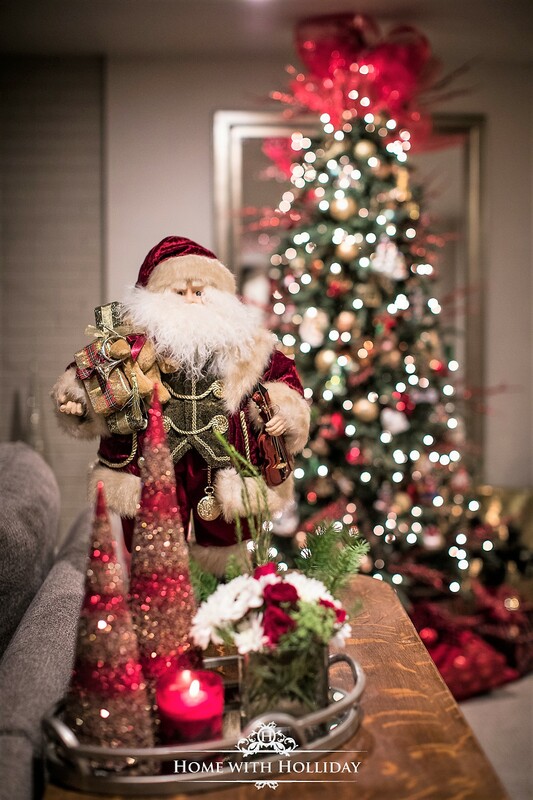 I hope you are gleaning new ideas and inspirations for your own holiday decorating from my other Christmas Home Tour posts (click on links below). This season is such a blessed time of year and is fully embraced by my family! As an interior designer, I go all out when it comes to decorating my trees! My kiddos, however, are not so thrilled with my themed “designer” trees. My daughter actually begs for at least one tree that feels “Christmassy”, as she calls it. NOTE: I know this is not a real word! This year, she wanted a tree that featured traditional, Christmas colors…red, green and other bright colors. Fortunately, I change up all of our trees every year so creating a new one with her requests was very doable. If you saw how many Christmas decorations I have, you would understand why my family magically disappears when it is time to put it all away! Maybe you can relate?! Our new main floor family room has not been built yet, so we spend a lot of family time in our basement. When we bought this home, we gutted the basement and started over. The new space includes a large living area, a full-size bar/kitchenette, a full bathroom, and a large theater room. Posts on those construction projects will be coming in the spring. As Bob Hope says, “loving others” is his “idea of Christmas”. Out of great love for my daughter, I built her this tree to her specifications! Smiley face!! Our basement became the home of the “family tree”. This tree holds all of our personal ornaments acquired from our travels, the kid’s homemade ornaments and cherished ornaments that I have collected and been given through the years. Every single ornament has special meaning to us in some way. As I have mentioned in previous posts, I LOVE Santas and have built quite a collection. This guy is one of my favorites and he fits in great with the color scheme of this tree. Plus, he sits on top of my great-grandmother’s antique console table which is from the early 1900’s…both very special! Because it is so dry here in Colorado, we do not use real Christmas trees, so I frequently use fresh flowers and greenery in some of Christmas vignettes instead. Our home was built in 1972, so we got super lucky to have all wood burning fireplaces! The brick around the fireplace is original and I really loved the texture of it, so I decided to keep it. Not excited about the color of the brick, I chose to paint it. Because the texture was already so great, I selected a color that was only one shade deeper than the wall color (Sherwin Williams – Balanced Beige) to keep it subtle. Deciding to forego installing a mantle for a more sleek look, it was time to get creative with decorating this area. Not wanting to light a real fire during this holiday season (because it is actually still too warm outside! ), featuring candles in the design made perfect sense. Continuing with my rustic winter theme throughout the rest of our home, the real birch logs and birch candles work really well. To start the design, I simply placed natural looking garland into the fireplace on top of the logs. The real pine cones were already attached so it really has an authentic look. Next, I placed the color-coordinated Santa and the sled…super cute! Finally, I added a variety of candles. Using varying sizes and colors creates such nice warmth…a hint of the glow we would have if we had a fire burning! For more comfort and ambiance, I used a few soft and cozy throw pillows. Some of our Christmas Eve guests usually sit on our hearth during the festivities, so hopefully they will be grateful they are there while sitting against the brick! I also added the three glitter trees for a bit of sparkle. Isn’t this the perfect time of year for a bit of sparkle?! If you want to create a more custom look with your tree, coordinate your gift wrapping with the theme and colors of your tree or room. Most people can manage to wrap a gift and putting a bow on it, but I encourage you to stretch yourself in this area. Gifts for your friends and family are usually thoughtful and from the heart, so why not do the same with how you wrap it?! A few years ago, I started adding ornaments that I have not used in a while to my packaging. You are not only giving your friend or family member a nice gift, but you are topping it off with an ornament that they can use on their tree next year!! If you do not have a supply of extra ornaments or ones you are willing to let go of, consider the Dollar Tree, Walmart or Big Lots to acquire a great selection of inexpensive ornaments. You could also use other Christmas decor to beautifully accessorize your gift wrapping!! The snowflake ornaments shown here came from Walmart and were $7 for 24!! Thanks for stopping by today! If you would like to see the details of the other Christmas Home Tour posts, click on these links below. In these posts, there are links to shop some of the looks I have shared and see the details of how the designs were created. 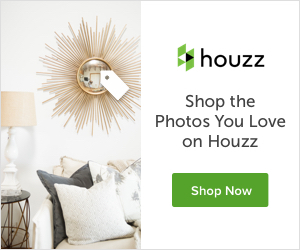 So fun to see your house! Maybe one day I’ll see it in person! Beautiful!!! I would love that!! Bring the whole family!